You can customise the lists, lessons, and assessments available on Education Perfect to ensure that they meet the needs of your students. To begin, click on the Content Library tab in your Control Panel. Ensure that you're in Edit mode using the switch in the top-right corner of the page. 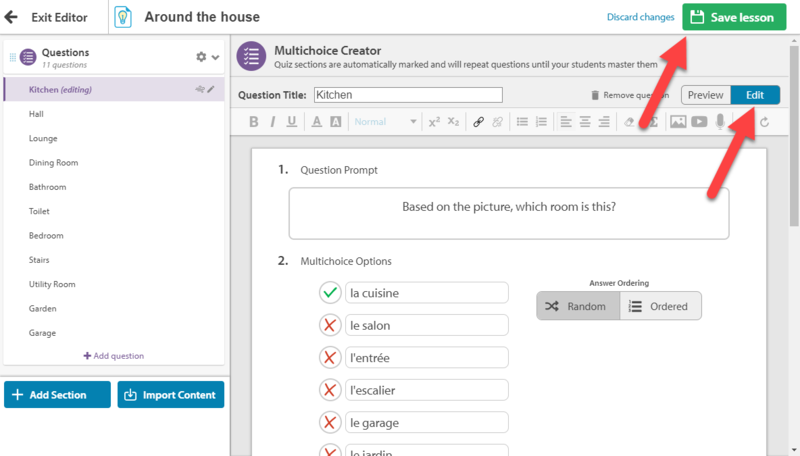 Once you have found the lesson to edit questions for, select the Edit smart lesson option. If the lesson you wish to edit is an official Education Perfect list, you will be prompted to make a copy of the lesson and to choose where you would like that copy to be saved. Saving the lesson in your Private Workspace will mean that the lesson will only be visible for you. This is handy if you would like to take your time to make improvements and do not want it to be seen until it is fully ready. 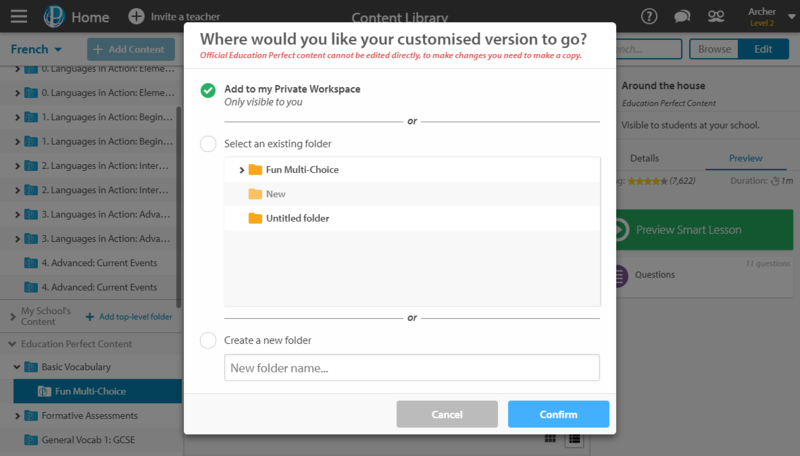 If you would like the lesson to be visible for other teachers, you can assign it to an existing folder or create a new folder in your My School's Content section. For more information about our different workspaces, you can read through our guide here. If you are editing content created by you, or another teacher, this will make permanent changes on the original copy. To prevent this, create a copy by selecting More and then Make a copy. Once you have saved the new copy of the lesson, edit the questions as you see fit. Once again, make sure that you have Edit selected in the top-right corner of the screen. When you are satisfied with your changes, click Save Lesson. 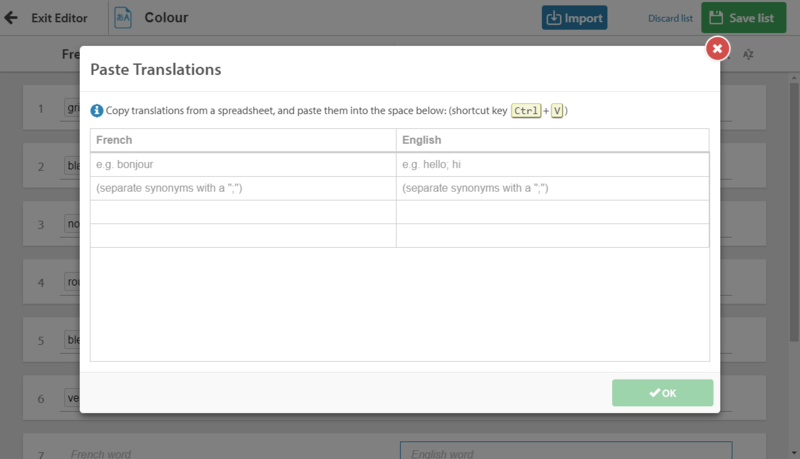 Start by opening up the Smart Lesson editor and selecting Import Content on the left-hand side of the page. You can select a section by ticking the checkbox beside it or you can select individual questions by first previewing them. You can preview each question by clicking on it and you can include it in the assignment by checking the box next to it. Once you're done, click Confirm Selection. Check out our guide to editing vocabulary lists here. Once you have saved your work and are satisfied with how it looks, you can move the lesson into your School's Content. You can do this simply by clicking the lesson and dragging it over. If you want the lesson to be seen by your colleagues but not by your students, you can hide the lesson from them. 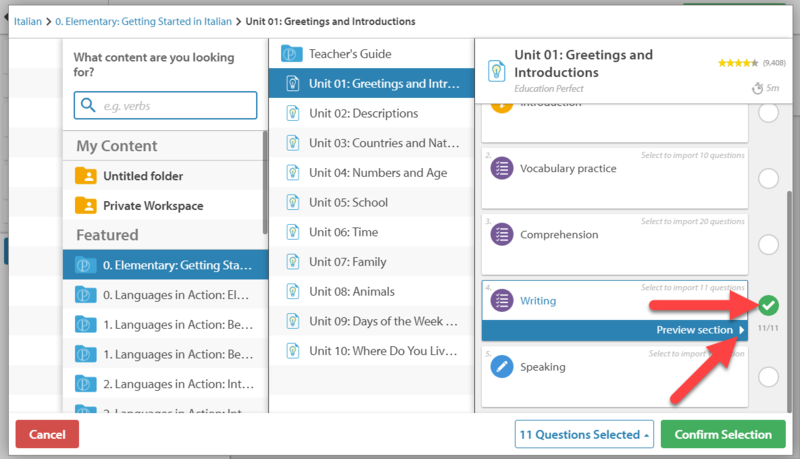 You can assign the modified lesson to your students through Tasks and Homework or by clicking Assign while previewing the lesson. Click the Import button at the top of the screen. From here, select one of two options: Import from another list and Import from spreadsheet. Select Import from another list to choose an existing list to import into the one you are currently editing. Choose Import from spreadsheets to bring up a dialogue box. Then, copy and paste your existing list from a spreadsheet into this box. Once you have done this, press OK to confirm.